PopCultHQ is kicking off 2018 in a new way. Each month, we’ll be selecting Comic Book Creators of the Month and interview them for a spotlight article. For April 2018’s Artist of the Month, we chose Marco Maccagni. 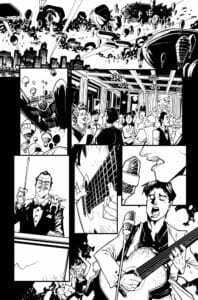 Marco Maccagni’s entry into the comic book industry kicked off when he graduated art school at Scuola Internazionale di Comics in 2013. 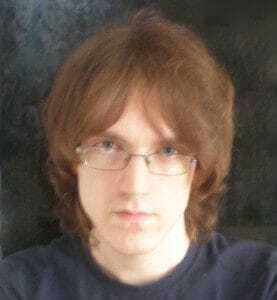 His first gig was a collaboration entitled DMS, a 96-page softcover published by Allagalla Editore. The 30-year old Italian artist has worked with the online magazine Kill Surf City as an illustrator, as well as illustrated the cover of Eden Cibernetico, a novel published by Montedit. 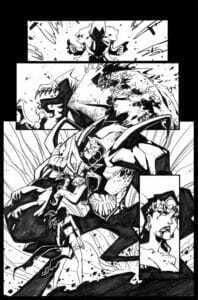 But it was in 2015 when Marco really made an impact when he first appeared as the penciler, inker, and cover artist for the Action Lab Entertainment miniseries Archon. 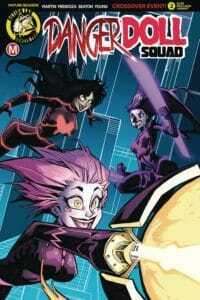 From there, Maccagni has been featured throughout the Action Lab: Danger Zone imprint’s main titles providing interior and/or cover art: Vampblade, Zombie Tramp, DollFace, and the lethal ladies team-up Danger Doll Squad. Currently, Marco is illustrating Dan Mendoza‘s Zombie Tramp as it heads towards this summer’s epic “Death of Zombie Tramp” event. 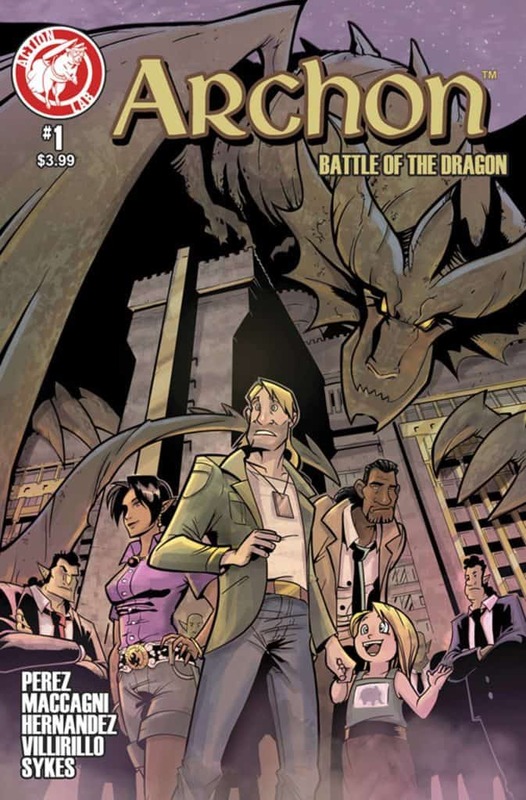 PopCultHQ had the privilege in interviewing the amazing illustrator about the difficulties of being an artist, how his love for drawing comics grew into a job once thought unattainable, and his thoughts on the shared universe at Action Lab: Danger Zone and the role he plays in it. 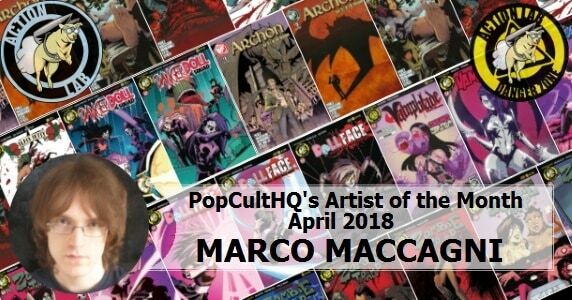 So sit back, relax, and find out more about PopCultHQ’s Artist of the Month for April 2018…Marco Maccagni! PopCultHQ: How did comic books influence your childhood? What was the defining moment in your life that you knew, from then on, that you wanted to letter comic books for a living? Marco Maccagni: I’ve always loved drawing, even before what I’m able to remember. 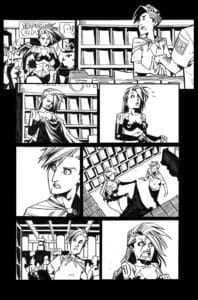 I’ve always loved to draw comics in particular: when I was a teenager I’ve done a lot of short comics, even if just for fan and exclusively by myself. 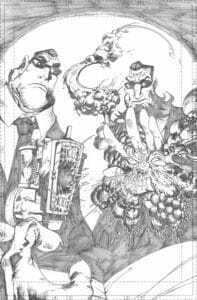 So, it was pretty natural that I loved the idea to become a comic book artist, but I usually had seen this job as something unattainable. The turning point came during a tough period of my life: the choice was between doing something I didn’t really like or risk everything and go down the way of the comic book artist. For now, I’m not regretting what I’ve chosen. PopCultHQ: What has been your proudest achievement in this business? 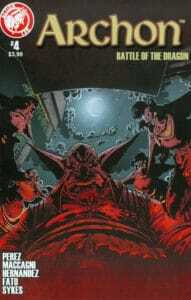 Maccagni: Well, I think it has been when I’ve seen my first comic published being sponsorized on the net: Archon, written and created by John J. Perez. That was a really exciting moment indeed. 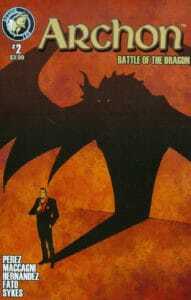 PopCultHQ: You’ve worked on quite a number of issues, titles, and covers for Action Lab’s Danger Zone imprint. What do you enjoy most about working with the creative teams at Danger Zone? Maccagni: When I receive my paycheck, haha. 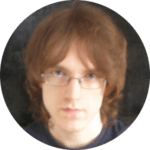 Joking aside, what I’m really happy for is that I’m basically one of the main artists who has contribuited to the creation of the Danger Doll Universe. 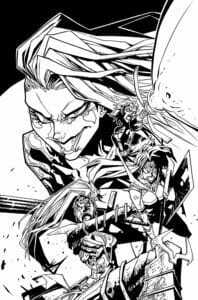 Sure, Zombie Tramp is going for a while, but I think the idea of creating a shared universe has really started only with the creation of Vampblade, in which I’ve taken part starting in issue #3, so pretty early on in the series. 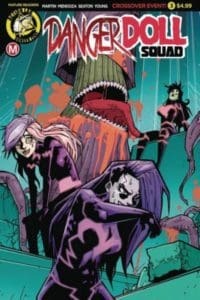 Then came Dollface, Danger Doll Squad after that, and now Black Betty. It’s like a mini Marvel universe, and I really like this sort of thing, so I’m proud to play an important role in all of this. Also, in this job it’s kinda essential to have a positive attitude among the team members, and in this respect I’ve found only nice people at Action Lab. 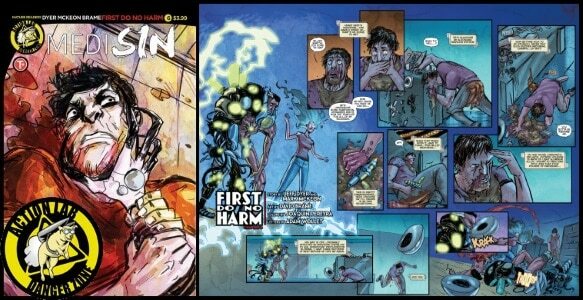 PopCultHQ: What is the most challenging aspect for you when it comes to illustrating a comic book? Maccagni: Doing the job during the bad days. I usually love being an artist, but sometimes you really have no inspirations and you just want to sit down and do nothing. Being able to hold on, sit at my desk and start working for hours when I’m not feeling it, it’s a pretty hard task to go through. 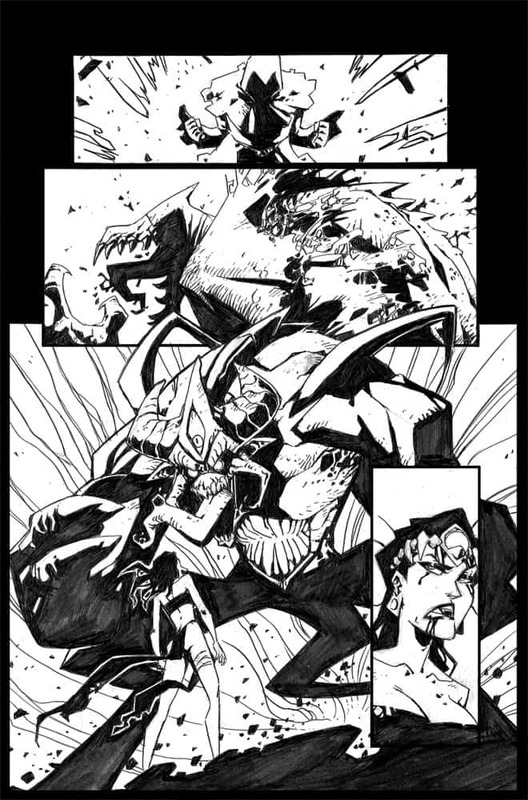 Mainly because when I’m not inspired I usually don’t love how my pages turn out, and that’s pretty discouraging. PopCultHQ: What has been the most important and/or valuable piece of advice you’ve received as an artist in the comic book industry? 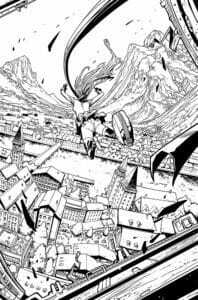 Maccagni: More than a single [piece of] advice, I’d have to say it’s the idea that being a comic book artist is a hard way of life, especially here in Italy: no vacations, no retirement, 10-14 hours working days, very few free weekends (if at all) and the list goes on. Also, considering that the euro is stronger than the dollar and that we got high taxations in my country, the pay is very low. 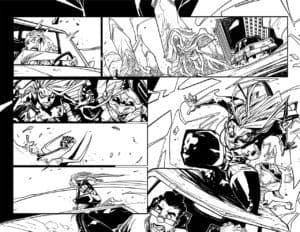 Being prepared for something like this beforehand by some of my teachers has been a great help to realize what being a comic book artist means. You really have to love this job, otherwise it’s better to do something else. 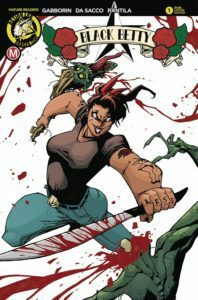 PopCultHQ: On top of ZOMBIE TRAMP, what’s on tap in 2018 for Marco Maccagni? Any conventions and signing appearances lined up? 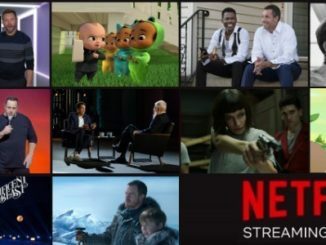 Other projects which you can discuss? Maccagni: Unfortunately I’ll not be able to attend any conventions since I’m stanced here in Italy. But I’m working on a lot of side projects that haven’t been revealed yet, so I can’t go in details right now. 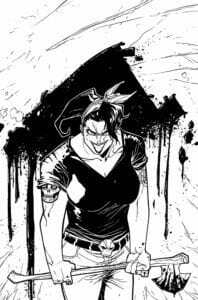 But if everything goes well then you’ll see a lot of new comics by me. 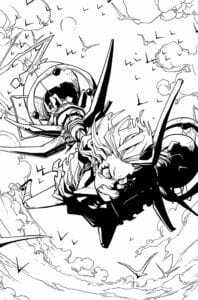 I’m working on a project with a Marvel artist as well, really exciting stuff! PopCultHQ: If you had the power or ability to make one change in the comic book community or industry, what would it be? Maccagni: Honestly? The general idea that a realistic style is better than a cartoony one. I get that the first one can be more detailed and impressive (at times), but the expressiveness and the exaggerations that you can obtain going the cartoon route is nothing short of amazing. PopCultHQ: Which artist’s work are you currently following/reading/collecting? 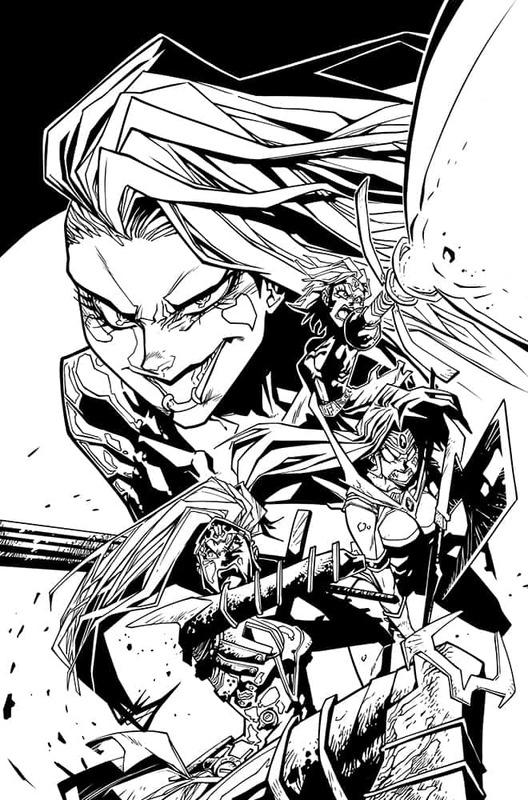 Maccagni: Well, let’s see…I absolutely love everything related to Joe Madureira. Then we have Ramos, Herrera, Coipel, Robert Valley (thank you Celor for showing him to me), Ryan Ottley, Sean Gordon Murphy, Tradd Moore…and many others. Special thanks to Marco for making time to speak with PopCultHQ. be sure to follow Marco Maccagni online!